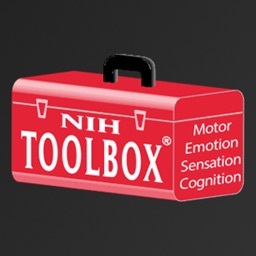 The NIH Toolbox® is a multidimensional set of performance and person-report measures that assess cognitive, sensory, motor and emotional function in people ages 3-85, designed for research and clinical use (see www.HealthMeasures.net). 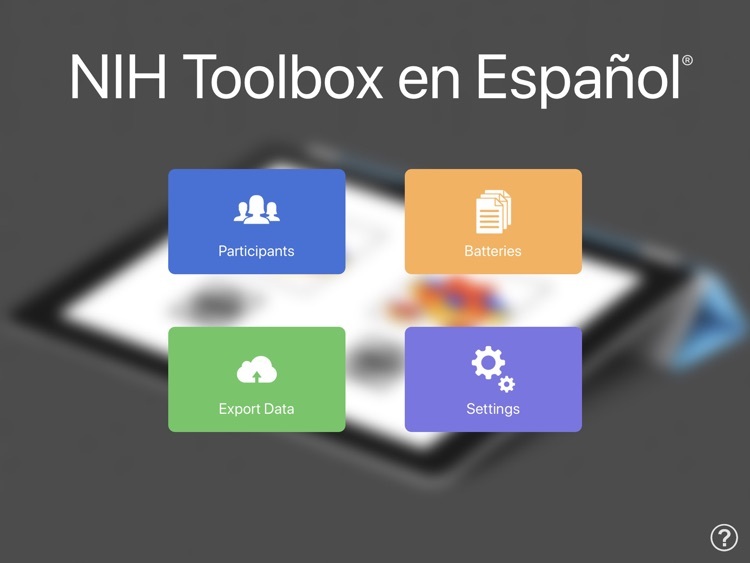 The NIH Toolbox was developed by more than 250 scientists over 6 years, and sponsored by the 15 institutes of the National Institutes for Health that make up the NIH Neuroscience Blueprint. The NIH Toolbox includes over 200 measures, for stand-alone use or as part of a complete assessment battery. With the advent of the NIH Toolbox, researchers can now assess function using a common metric and can “crosswalk” among measures, essential to the process of pooling data and often necessary when a large and diverse sample is needed. This version contains the Spanish only version of the measures. 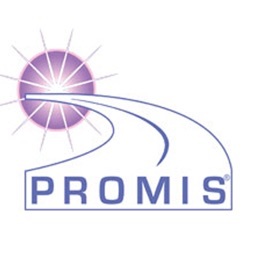 With the purchase of this app, you will also have access to other measurement systems funded by the National Institutes of Health including the PROMIS®, Neuro-QoL, TBI-QOL, SCI-QOL and SCI-FI. 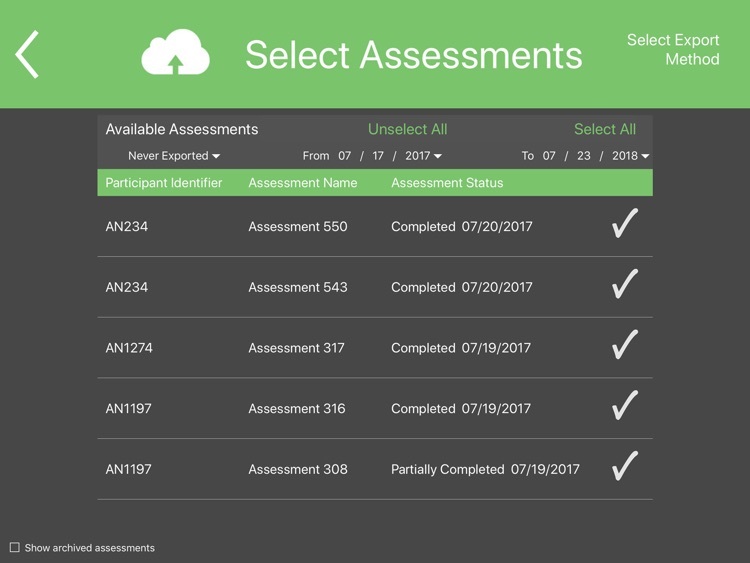 We are pleased to offer a FREE Trial Mode that allows our users to explore the app and even access the instruments with no time constraint. 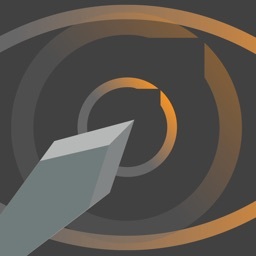 Please note this Trial Mode does not save data or allow access to reports and data exports. 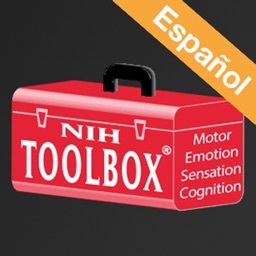 To use the NIH Toolbox app without feature restrictions users must subscribe to a 1-year auto-renewing subscription of $499.99. The subscription will automatically renew unless auto-renew is turned off at least 24 hours before the end of the current subscription period. You may manage your subscription by going to your iTunes Account Settings after purchase. No cancellation of the current (paid) subscription is allowed during the subscription period. 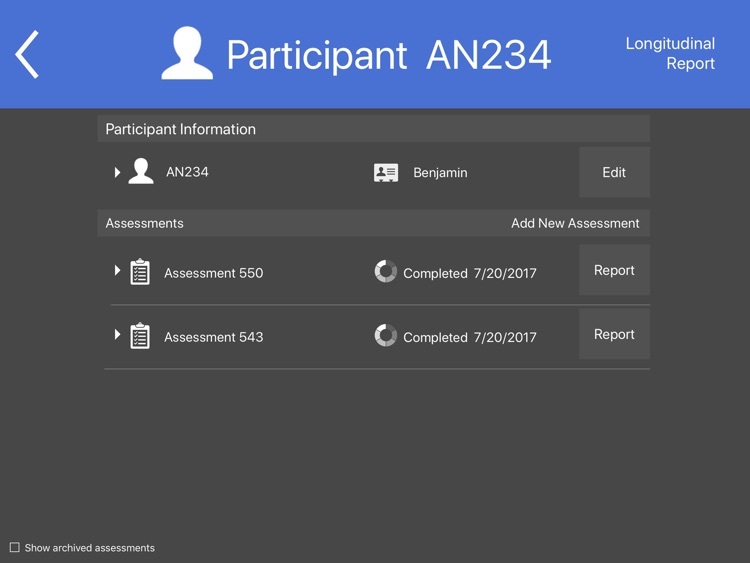 All content needed to administer NIH Toolbox tests is available in the app; you do not need to pay for, create or maintain a separate account. 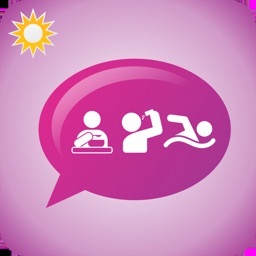 With the purchase of this app, you will immediately have access to instruments to be used in assessing Emotion, Motor and Sensation domains. 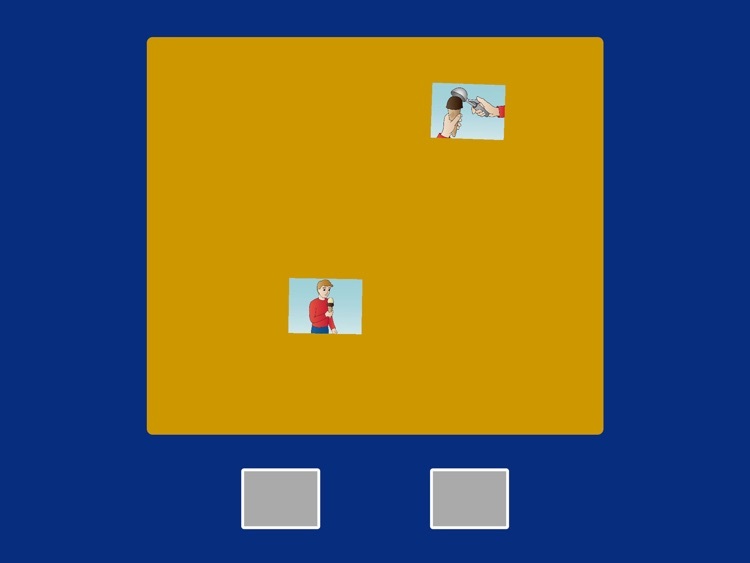 Instruments used for assessment of Cognition require the successful completion of a separate approval. This approval process is included in the cost of the subscription; no additional purchase necessary. Generally, approval will be granted to researchers and clinicians with the knowledge to use neuropsychological tests. Contact [email protected] for more details. Some measures require additional hardware and/or materials.See the Administrator's Manual to obtain vendor details. - The NIH Toolbox app is not intended for use outside of research or clinical application. 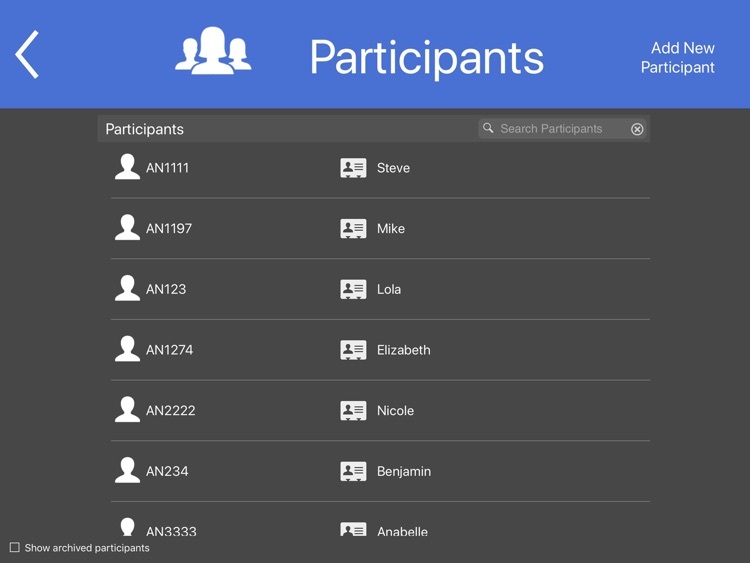 - Users control how data is managed. Data export via iCloud, email, and File Sharing through iTunes can be enabled/disabled in the Data Security menu of the Settings screen. 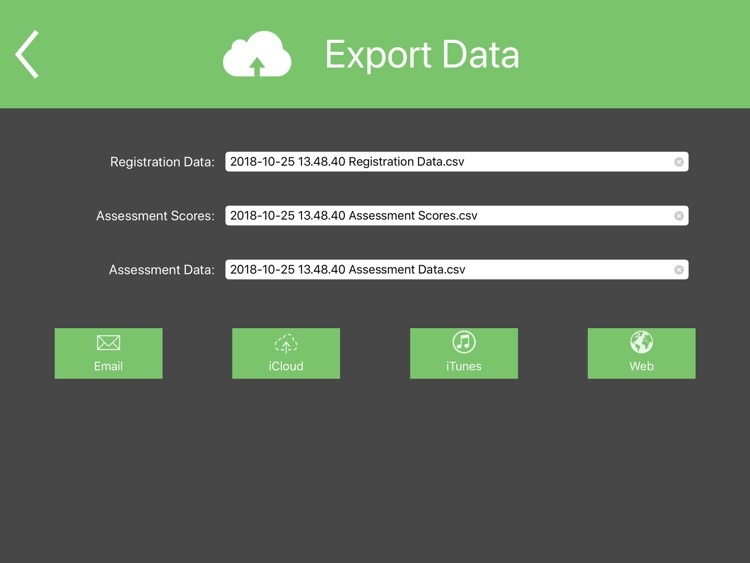 - Data exports (.csv format) and participant reports (.txt format) may be emailed from NIH Toolbox. Secured email systems must be used to protect privacy.